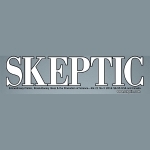 Chris Edwards reviews The Invention of Science for Skeptic magazine. Subscribers can read the full piece from the Volume 21 No. 3 issue. Alternatively, here is a PDF version.